Oh my god, I had to watch that again. So funny. According to most of these videos, everyone saw the ads on Facebook for cheap, naturally wanted to get rid of their blackheads, so they bought the peel-off mask, and pain ensued. 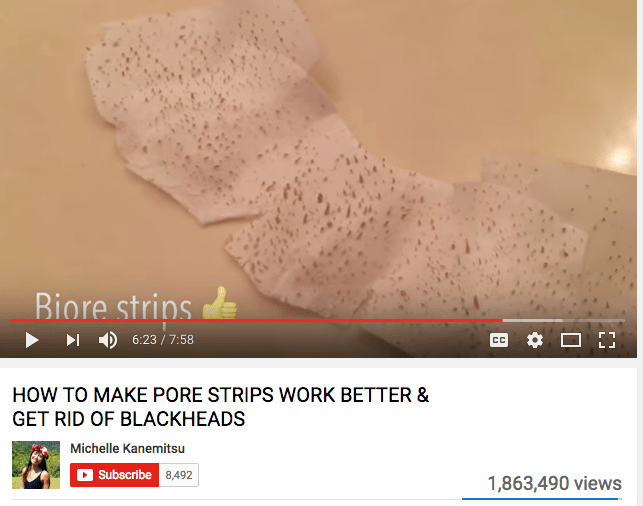 From there, a whole crop of DIY blackhead mask videos/recipes have popped up. Why anybody would want to recreate the horrible experience I saw above at home, with their own DIY recipe is beyond me, but hey–to each their own. And while those results are awesome, I think we first need to clear up exactly what we’re seeing here. What you’re seeing above is the removal of mostly–if not all–sebaceous filaments, not blackheads. 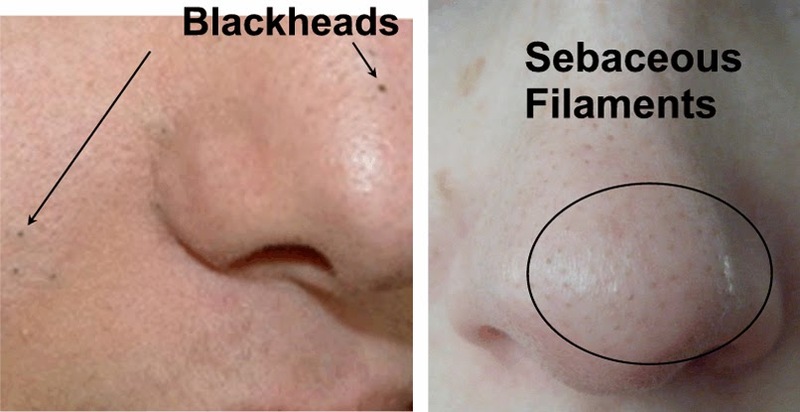 Q: What’s the Difference Between Sebaceous Filament and Blackheads? That’s why, when you squeeze your nose, you can get them to come out and they look like hair-like strands. Also, when you see the Biore strip photo above, you can see the strand-like filaments that have been pulled out. These are sebaceous filaments. Blackheads, on the other hand, are blocked pores where sebum starts to grow behind it. When the sebum at the top of the blocked pore becomes exposed to oxygen, it oxidizes, causing it to become black. Inside, pus lurks often behind. A blackhead is like a black-topped pimple that can be extracted; when you do, it will look like a plug, not a hairlike strand of wax/oil. Sebaceous filaments are what we’re typically trying to rid ourselves (or our noses) of. The bad news is that sebaceous filaments are mostly genetic, so there’s not much you can do about them. Even if you pull them out with a pore strip, they’ll return within 30 days (or less for those with oily skin) (source). They do decrease with age, so there’s one thing to look forward to! Q: How Can I Treat Sebaceous Filaments or Blackheads? As I mentioned, pore strips will remove the sebaceous filament temporarily, but a better bet is to use a BHA (beta-hydroxy acid) chemical exfoliant, because it’s oil-soluble and can pass through the sebum into the pore. BHAs may be able to reduce the appearance of sebaceous filaments, and should be able to reduce the likelihood of a sebaceous filament turning into a blackhead. In my experience, they tend to turn to whiteheads faster than blackheads. 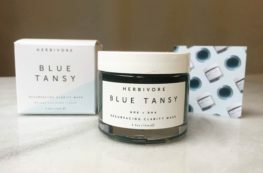 According to Paul Burgeon, occasional use of natural clay masks should also do the trick, because of their ability to draw oil out of the skin. I’ve had limited, but appreciable, success when using an Alaskan Glacial Clay Mask for my sebaceous filaments, but it did very little for already blocked pores (whiteheads and blackheads). As for blackheads, you can decide to let them work themselves out if you are patient and have a good immune system. Otherwise, professional extraction is your best best. So those things we’ve been peeling and ripping out of our faces our entire lives are probably just sebaceous filaments.. which explains why they always come back so quickly! Our genetics play the biggest role in whether we’ll have a nose full of or free from sebaceous filaments, but we can take some steps to help our skin out. My best advice is to step away from the magnifying mirror, keep your fingers away from your nose, put the pore strips and peel-off masks away, and invest in a quality BHA serum. Even using an AHA/BHA combo serum has made a huge difference in my skin, in just one week! Just exfoliate–chemically, and gently–to help your skin in it’s natural turnover, and reduce the amount of oil, dirt, and dead skin that could be blocking your pores. And if you MUST use the peel-off masks and strips, only do them after the shower or after you’ve properly warmed, softened and opened your pores, so that you don’t risk permanent damage (i.e. larger pores). Oh! And in case you’re saying “Okay, but what’s a BHA?” Here’s our full guide on exfoliation. For product recommendations, shop below! Gentle Reminders: Thanks for reading! If you liked what you read, please sign-up for notifications in the upper right hand column. This blog contains affiliate links and widgets. Clicking on or purchasing through these links/widgets helps keep this content free. So if you liked it, please click! Great article! Any tips to reduce enlarged pores!! Thank you! So glad you found it useful. Unfortunately, large pores are also genetic. (I would know, I’ve got them!) 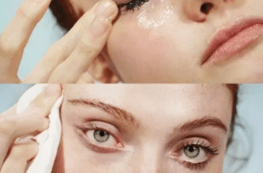 Definitely same advice applies – BHAs are oil-soluble so they can penetrate the pore and help gently “unglue” the cells and remove dead skin, etc. The Drunk Elephant AHA/BHA combo is really perfect for any skin type, any age. 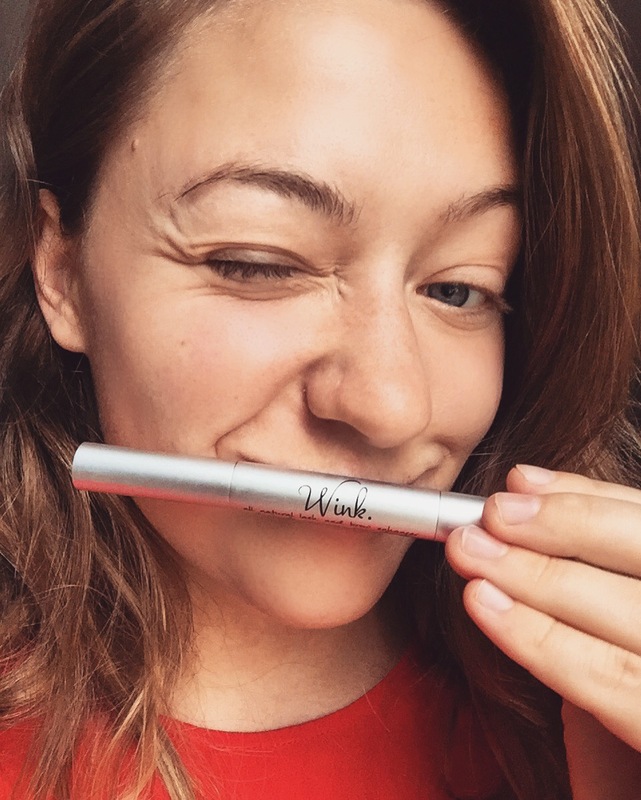 I’ve used it every night for a month now and can see a BIG difference in my nose (bye, bye pore strips!) and some of the larger pores on my upper cheeks. Thanks so much for your post! I’ve had sebaceous filaments all over my nose since puberty, along with mild-moderate blackheads. It then graduated to mild-moderate whiteheads as well, and then mild-moderate cystic pimples on my cheeks on top of that when I was about 20(I’m 22). I tried everything I can think of. 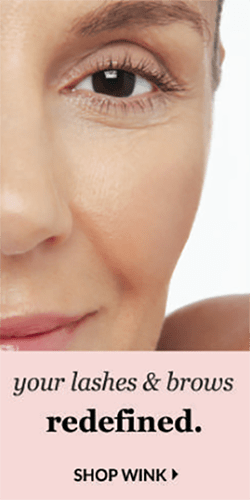 Bore strips, masks, scrubs, proactiv, drugstore products, high-end products, natural products, natural methods, drugstore, high-end, and “natural” makeup. Diet changes. Supplements. The only things that FINALLY worked for me was the acne.org regimen. The only problem is for it to work 100%, you had to follow it 100%, and it was very time-consuming. With working late hours I would sometimes only get 4 hours sleep because it takes an hour, morning and night (you have to let your face dry completely between each step). Also it left my face soo sensitive to sun. Not wanting to get off it and have my face erupt, but also tired of the lengthy regimen and sun sensitivity, I finally broke down and went to a dermatologist ( I had it in my head that going meant I was a failure or something, as if acne was something I could control. Also, our commercially exploitative culture can sometimes be anti-derm to promote individual’s products). I was prescribed a mild sulfur cleanser and climdamycin lotion. It’s been about 8 months, and this is can say is the best my skin has been since childhood. Cystic pimples and whiteheads are few and far between, and my complexion is on point. The only thing is I still have sebaceous filamentso on my nose and some blackheads here and there. I don’t want to add a BHA and throw off everything/have my face react badly. However, I do know that AHA/BHAs work for blackheadsome and filaments in my own experience from the acne.org regimen. Do you have any advice or suggestions? I have done some pore strips and masks which help temporarily, but you are right about the results being short-lived. Well congrats on your success thus far! It takes a long time to find a skincare regimen that works. I’ve had great success with sulfur, and now that I’ve had a chance to visit my derm and tell HIM about my success with sulfur, he has me on some really cheap sulfur-based skincare products. I also buy OTC to stock up and save. My derm also put me on a 1 month cycle of a very low-dose antibiotic, which has improved my skin texture because it’s reducing inflammation. The Drunk Elephant AHA/BHA combo has been AMAZING for my sebaceous filaments and general skin texture. I would 100% recommend it. I love Drunk Elephant because the products are highly concentrated but don’t sting, burn or irritate, and they tell you exactly what percentage of what you’re getting. For a little cheaper BHA that’s equally effective, you might want to check out Paula’s Choice. I wouldn’t recommend trying anything too cheap, because you get what you pay for with skincare. 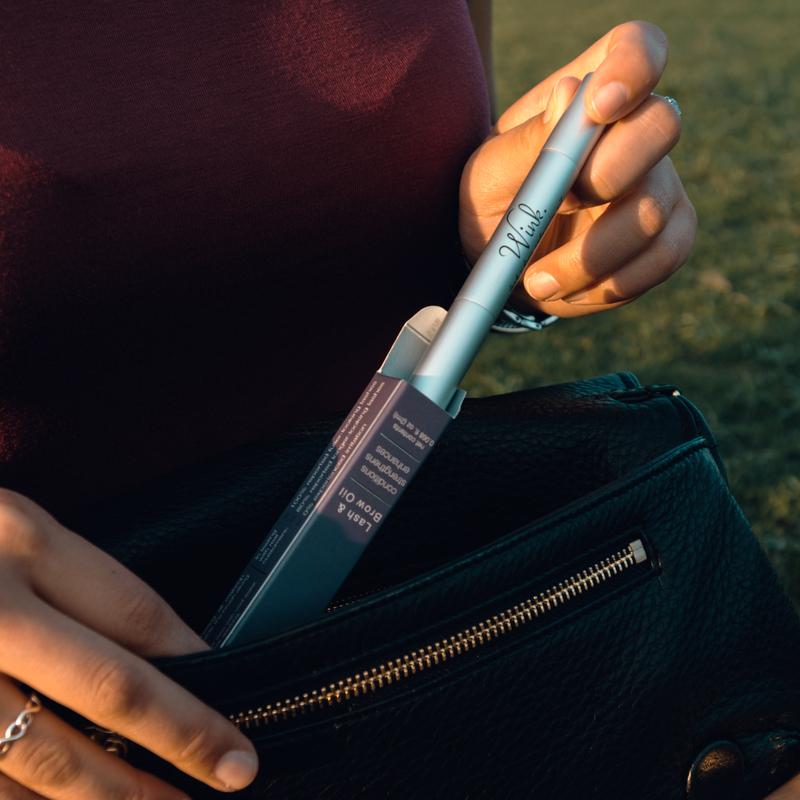 A 1-2% BHA would probably be fine and wouldn’t mess up your regimen or disturb your skin in any other way, but it would help reduce the sebaceous filaments slowly over time. For me, I saw a big reduction after 2 weeks of daily use. Just make sure to wear sunscreen!